A twist on the classic ‘Cashew Chicken’. 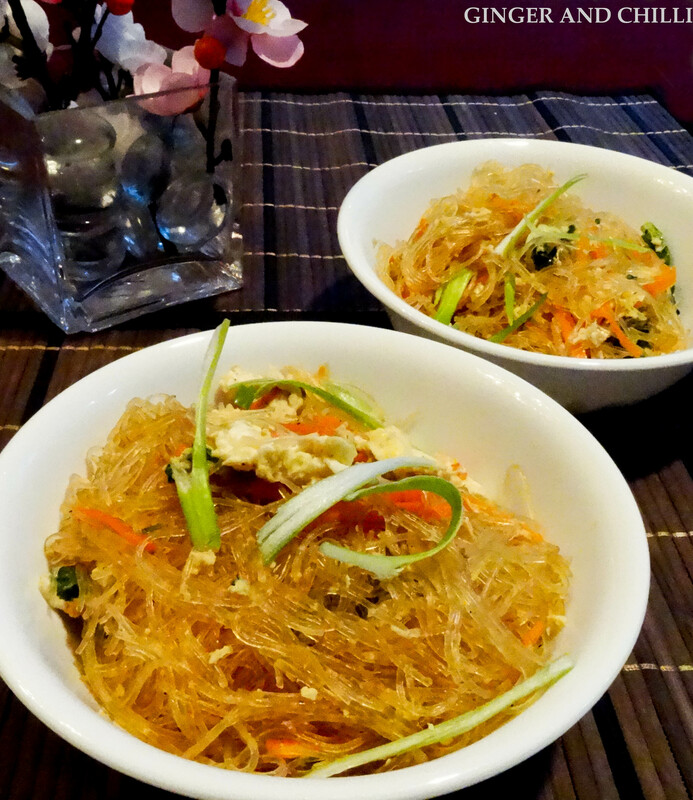 This dish features celery as the main ingredient, making for a healthier option. Season the chicken well, according to your personal taste. A dash of paprika or turmeric adds a more exotic flavor. Chili powder offers a spicy kick. The small amount of protein will go a long way in enticing the palette. Picky eaters will forget they are eating vegetables. 1. Fry garlic till just about to turn golden. 2. Toss chicken and quickly fry till half-cooked. 3. Add celery, starting with stems which take more time to cook than leaves, if any. 4. 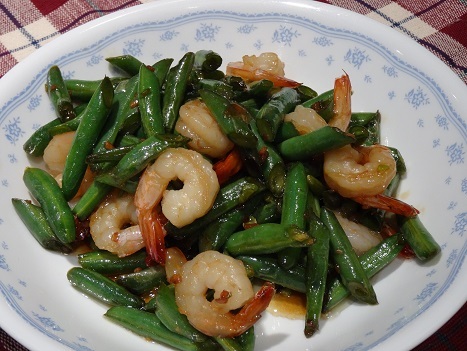 Season with soy sauce and oyster sauce. Lower heat and cook for 1 minute. Summer brings with it long days, sunshine, clear skies and its cornucopia of lush fruits and vegetables. Looking around my kitchen one afternoon, wondering what to make for dinner, I pondered a single leftover sun-ripened tomato-in-vine and an ear of white corn that recently left the farm. Now I can feast on corn boiled in nothing but water for the entire harvest season, as I had done the past 2 days, but my husband does not care for the flossing that needs follow. 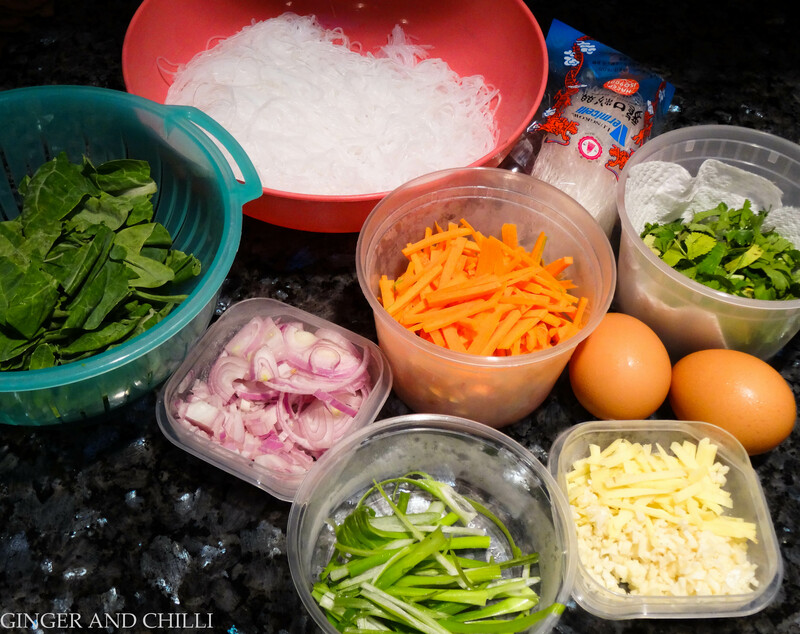 A quick look around my pantry resulted in this global mix of cuisine – north asian noodles with south-east asian dried seafood with summer bounty found in western climes. Add corn kernels and stir-fry generously for about 30 seconds. Add in dried mushrooms and keep frying at high heat. Add in shrimp, ikan bilis and scallops till mostly cooked. Toss in tomatoes and give it quick stir. The ingredients should be mostly quite dry by now. Add a splash of cooking wine, a dash of fish sauce adjusted to taste and about 2 tbsp of water reserved from soaked shrimp and scallops. Keep heat high for 10 seconds before lowering to medium heat to simmer for about 1 minute. 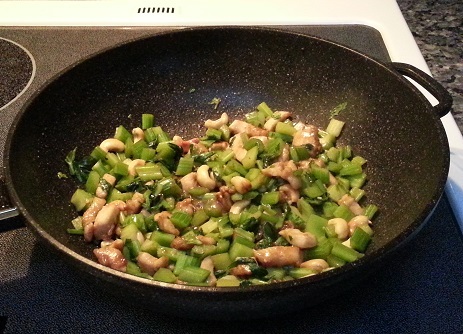 Stir in shallot leaves before serving. Diced chicken with cashew nuts and celery is a staple in any chinese restaurant in the bay area. I have often found it slightly odd because growing up, celery was imported and not a common food item. It was not easily found in a wet market, and if it were, probably did not offer as much value for money as spinach or choy sum or kai lan. Nonetheless, this dish is common in the American-Chinese diet, just as broccoli beef is (that’s a story for another day). 1. 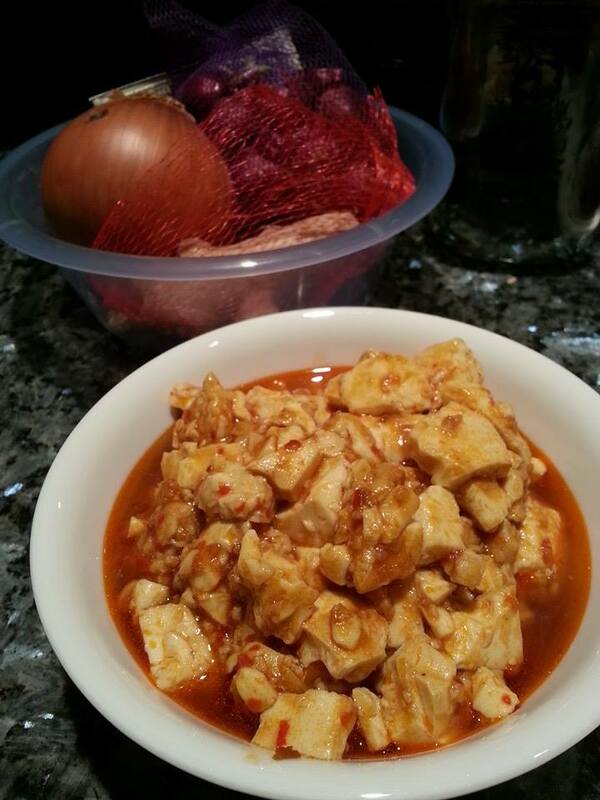 Marinate chicken. Leave in fridge for an hour. 2. Saute garlic till fragrant. 3. Just as garlic starts to turn brown, chicken and saute on high heat to seal in flavours. 4. When edges of chicken starts to brown, add cashews and saute till nuts also start to just very slightly brown. 5. Add celery. Give a couple of quick stirs, about 30 seconds. 6.Simmer in 2-3 tbsp water, or reserved liquids from soaking mushrooms or shrimp, till liquid is mostly absorbed. Blanch green beans in salted, boiling water. Drain and place into iced water to stop the cooking process. Add prawns to high heat. Saute quickly till prawns begin to turn pink. Add green beans, keeping heat high. Toss thoroughly. Lower to medium heat after about 10 seconds, adding salt/sugar to taste if necessary. Remove from heat when prawns and beans are cooked through. 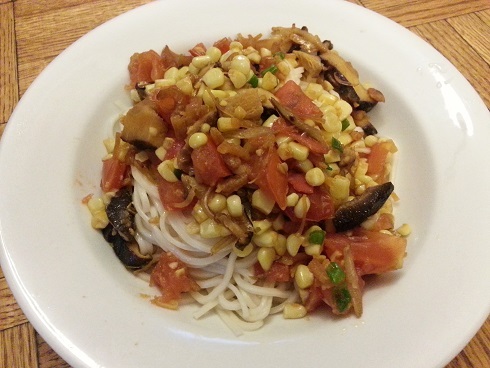 This is a popular dish from the Sichuan province. The tofu can be cubed prior to cooking for nice, evenly shaped pieces. I like a tossed-together look and go for irregular pieces, chopped up using the spatula during the cooking process. Other meats I’ve enjoyed include luncheon meat and lap cheong (chinese sausage). The meat can be left out for a vegetarian version. Adding sweet corn (canned) also adds a nice touch and added texture. For an even more decadent meal, lightly toss cooked rice in fried shallots and chopped ginger for added aroma to rice. 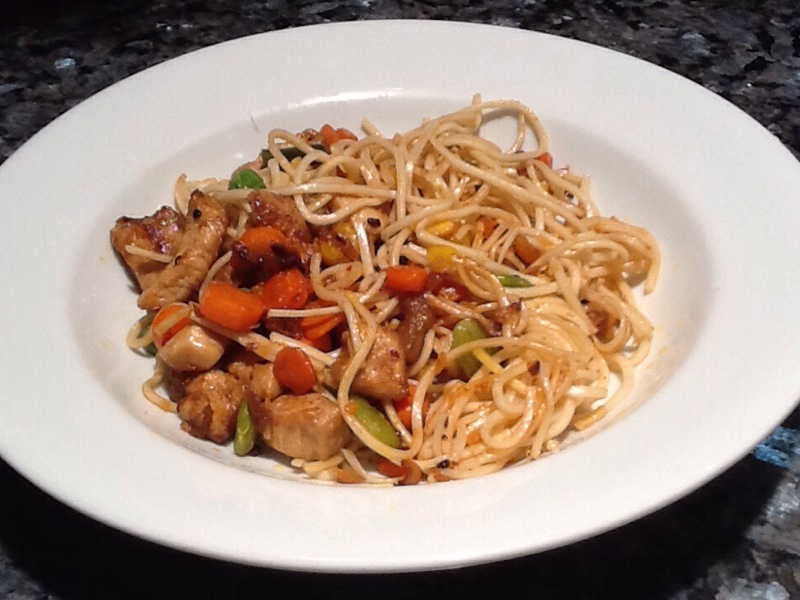 Stir fry chicken over heated pan. Add cooking wine and soy sauce. When chicken is ¾-cooked, add garlic and fry till fragrant. Add sweet sauce and plum sauce. Adjust to taste. Add tofu. Cut into irregular pieces with spatula. Add chilli and stir well. Add sesame oil and bring out the aromas.